KUPER is the name No 1 in the world of splicing technique. Nowadays, KUPER company founded in 1933 is the only developer of the whole range of modern veneer processing technologies. 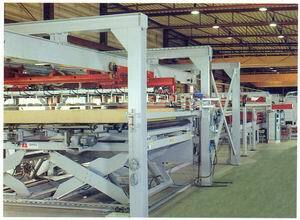 KUPER company is ready to offer almost all kinds of veneer processing equipment. There are machine units for small-scale handicraft and large-scale industrial manufacturing, longitudinal and crosswise splicing machines for furniture and plywood industry, machines working with adhesion thread on the zigzag principle or with direct glue input on the veneer edge. KUPER has got solutions for all specific manufacturing conditions. The patented system of KUPER thread adhesion by zigzag method – the corner stone in splice technology development remains standard for already more than 40 years. In this juncture the company was known to the world. Besides that due to its wonderful production capacities KUPER purchases and restores used equipment for already many years. Characteristics of such equipment are not worse that ones of the new, but, anyway, in the average they are 40% cheaper (more than 5000 positions at stock). There are three categories of used equipment: 1. Used equipment from the stock, 2. Used equipment after checking and adjustment. 3. Restored equipment with plant guarantee from KUPER company, what allows implementing orders and projects available for any budget. 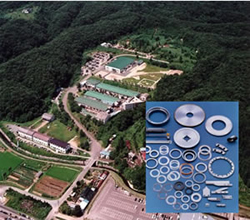 Toyo company was founded in August 1925 after Syonday plant has been built. Due to the lack of raw materials at the time the manufacturing of industrial knives depended on import a lot. Doctor Kotaro Honda, the president of metals chair of Togoku University, a world acknowledged authority in the field of metallurgy, had provided assistance in the construction of industrial knives plant in the city of Senday, while planning to implement scientific research to production technology. Since its first days TOYO KNIFE has close relations between the University and production while using latest laboratory results. Within a short term our early efforts were recognized by the industrial environment and designated as best products at the Japanese Goods Exhibition in the city of Tokyo, 1928 and the Trade and Industry Exhibition, 1930. While developing intensively, in 1932 we installed forging machinery at Syonday plant, followed by construction of steel knives plant in the city of Toyopaka, 1937. 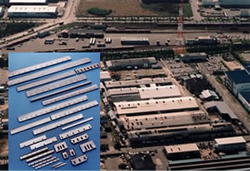 After the Second World War, due to the industrial boom , the need for different knives has drastically increased, so we extended plants in cities of Syonday and Toyopaka and built two new enterprises in cities of Togayo (1960) and Tomiya (1970). 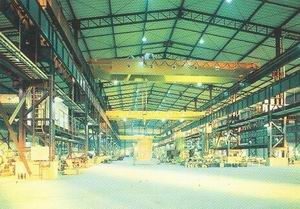 In order to concentrate production capacities in 1977 we have carried out organizational amalgamation of Syonday, Tomiya and Togayo plants and the capital was increase up to £ 500 000 000. Our more the seventy years experience, “know-how” and our constant scientific researches allowed TOYO KNIFE to manufacture production, satisfying demands of any consumer. All this, along with reasonable business policy and after-sale servicing program allowed us to enjoy “Toyo technology and service quality”. During last several years we have carried out an especially exact quality control at all manufacturing lines, and now we occupy the stable position in the upper line among world knives manufacturers. Our products are being exported to more than 50 world countries and the sales show a visible growing trend. 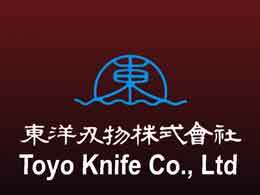 We areroud of and cherish the title of “world known Toyo knives”. Herhard Fezer emigrated from Germany to Brazil with his family in 1921 in order to organize there his own sawmill. In 1938 he became a co-owner of metal processing plant manufacturing sawmills and boilers. 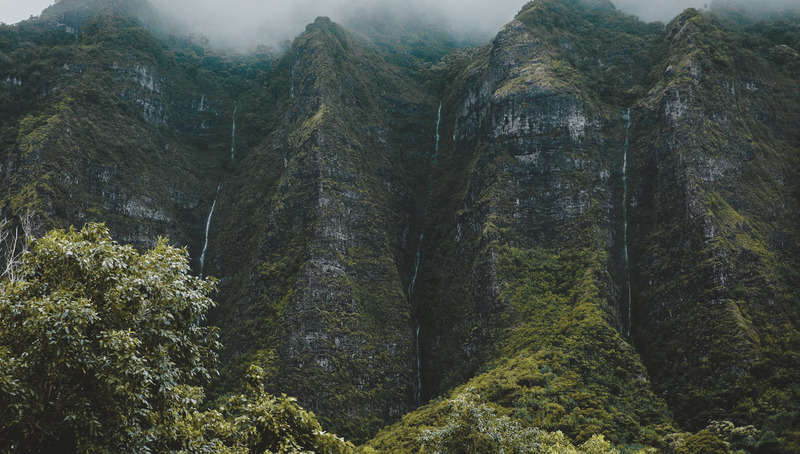 In 1948 he moved to the city of Casador, the state of Santa Catarina, which at the time was the center of wood processing industry in the south of Brazil due to immense paranian pine woods. There he founded FEZER company along with his partners – Samuel Haudsch, Miguel Haudsh and Armin Reiner. First manufactured machines were designated for paper and sawing branches. Besides that the enterprise fulfilled the repair of other equipment. 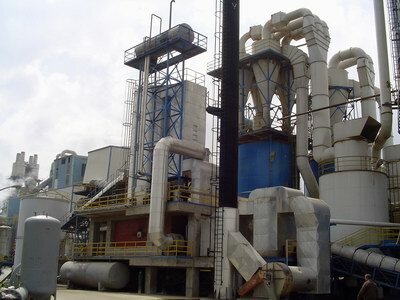 In 1958 the plant started manufacturing peeling equipment. In 1964 the first horizontal linear shaper was manufactured. 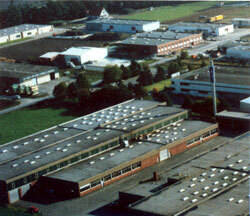 In 1974 the new plant was built on 62 acres of land and received a new name – Fezer S.A. – Industrias Mecanicas. After the company registration and the end of the new plant construction following steps were made concerning the licensed assignment of know-how and design information to Fezer company. Today Fezer is one of most modern Brazil enterprises having processing centers with CNC type NC and features of automatic equipment construction and manufacturing using CAD and CAM systems. The enterprise has got 220 highly qualified and motivated employees. Outsourcing suppliers of spare parts and utilities must meet the most strict quality standards. Most suppliers represent braches of European and American companies. The technical department produces drawings according to DIN standard. To electrotechnical works are applied VDE standards (Germany) or DIN. We speak Portugal, Spanish, German, English and Italian. Fezer company also has got own foundry capacities for gray and touch iron foundry. История фирмы ANTHON началась в 1865 году. Созданная в середине XIX века, компания ANTHON получила известность как производитель оборудования для производства бочек. Сегодня ANTHON специализируется на шлифовальных линиях, погрузочно-разгрузочном оборудовании, линиях раскроя плитных материалов, форматно-обрезных линиях и традиционный вид продукции – станки для производства деревянных бочек. В течение более чем 25 лет ANTHON использует высококачественные программные продукты для систем управления. Успешное сочетание современной технологии и традиционного машиностроения сделало оборудование фирмы ANTHON универсальным стандартом для деревообрабатывающей промышленности. Департаменты продаж, проектирования, производства и обслуживания фирмы ANTHON предлагают заказчикам по всему миру технологии в течение 24 часов в сутки, 365 дней в году, гарантируя, что заказчики получат быстрый ответ и квалифицированную помощь. Компания Bersey Limited Company образована в 1979 году и является машиностроительной фирмой, обслуживающей различные отрасли, где требуется производство тепла. Компания Bersey проектирует и поставляет полные системы производства тепла – полностью по собственным проектам – работающие на мазуте, природном газе, отходах, биомассе и на совместном сжигании мазута и природного газа. Наша основная цель дать нашим заказчикам «проработанные технические решения» вместе с полностью изготовленными высококачественными изделиями, соответствующими международным нормам и стандартам. Наш немалый опыт проектирования и производства в сочетании со знаниями, полученными на протяжении многих лет, позволил нам стать конкурентоспособными и надежными партнерами во многих различных проектах, осуществленных к настоящему времени. Сегодня компания Bersey поставляет свою продукцию для различных применений таким базовым отраслям как Деревообрабатывающая промышленность, Целлюлозно-бумажная промышленность, Химическая, Текстильная промышленность, производство растительных масел, пластмасс и упаковочных материалов. Компания Liftsky, созданная Китае, в 1999 году, специализируется на решении различных проблем, связанных с грузоподъемными и логистическими технологиями. Компания Liftsky, владеет двумя заводами, один из которых расположен в Longhua, другой – в Songgang. Они занимают площадь более чем 21000 квадратных метров, имея полный комплект оборудования, включая обрабатывающие центры с ЧПУ, высокоточные токарные станки и т.п. В 2010 году компания Liftsky, была преобразована из логистической и складской фирмы в научно-технологическую корпорацию. Компания Liftsky имеет соответствующую национальную лицензию производителя, наряду с сертификатом CE. Используя жесткую систему качества и управления, каждому изделию гарантируется высокая конкурентоспособность. Компания Liftsky владеет рядом ведущих технологий и патентов в промышленности: многоуровневая система парковки автомобилей, и винтовые паркинги для автомобилей. В Китае компания владеет патентами на следующие товары, которые были первыми: первая выравнивающая платформа с использованием электровоздушной подушки, первая передвижная выравнивающая платформа, первый передвижной электрический пандус, первый цепной автомобильный подъемник. Liftsky, обладает рядом успешных внедрений своей продукции, например в компаниях Wal-mart, Vanguard, Toshiba, Sanyo, 4S склад для Porsche и Hyundai, Shenzhen Happy Valley, в аэропортах Шеньженя, Пекина, Ченгду, Кунминг, Ченгду, в различных жилых домах, отелях и офисах. Уже более полувека компания Yamamoto Engineering Works производит гидравлические прессы для древесины. Компания использует весь свой богатый опыт и ноу-хау в сочетании с последними технологиями в области гидро-электроники и машиностроения для производства востребованных на рынке прессов для фанеры и других изделий из дерева.